Natural silver mica with a bright glitter-like form. Use to provide a sparkle and reduce shrinkage to cement mortars, and to lower weight, increase fire resistance and improve thermal insulation in cladding materials. 5 times larger than our delivered single pack offer. 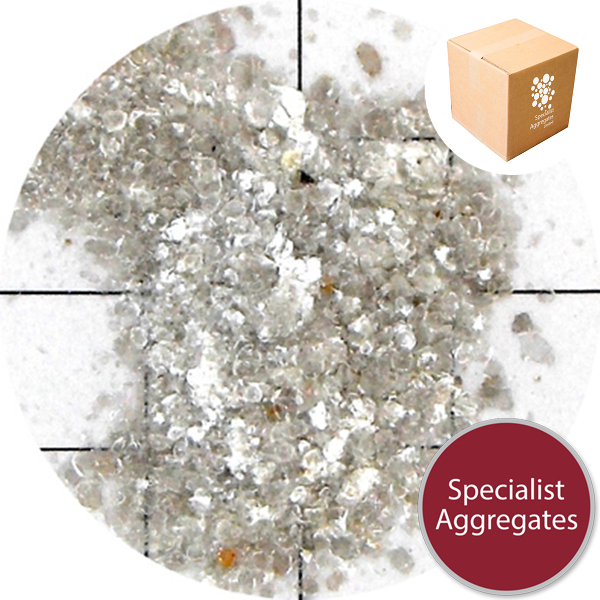 Mica is a natural mineral which has a soft flake-like form. The platey particles are chemically inert with high thermal stability. 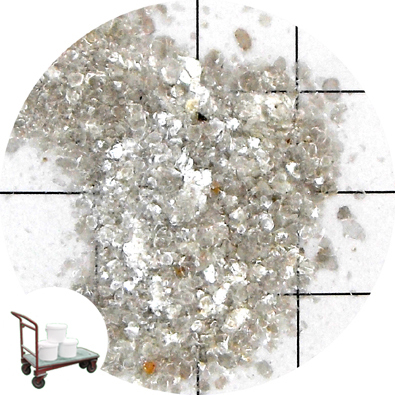 Visually, flaked mica has a high brightness with a glitter like appearance. 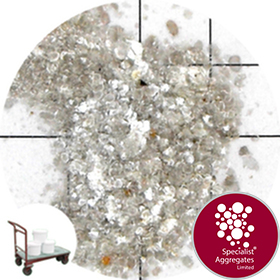 Apart from producing a stunning glitter effect, when used as a minor component in mortars, (especially effective with our white granite sand) the addition of silver mica increases stability, and helps to reduce shrinkage. When used as a major component, for instance in cladding and wall boards, mica helps to lower weight, increase fire resistance and improves thermal insulation. 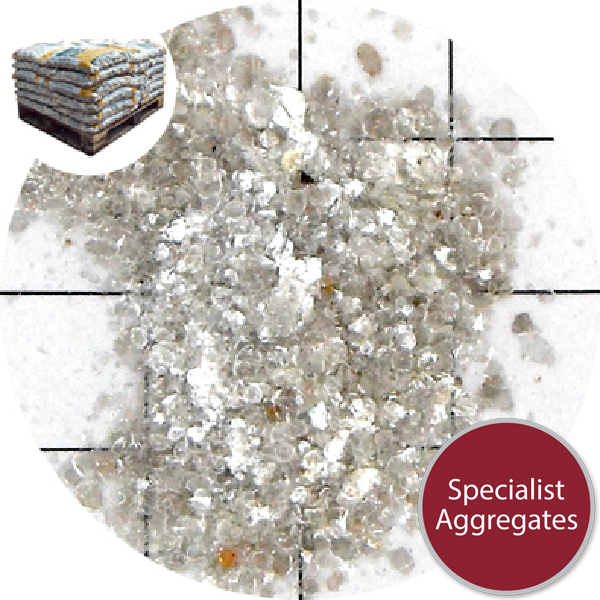 Architect Specify: Coarse grade flaked silver mica from Specialist Aggregates.